Business owners have two types of expenses in their companies: static costs like rent that never change and dynamic costs like hourly payroll and materials that fluctuate seasonally. Most companies would prefer their energy bills to be static, but they can dramatically increase over time. If you’ve noticed that your energy bill is chipping into your profits, it could be time for a change. Here are three ways to decrease the energy use in your company while making your employees more comfortable. HVAC systems typically last between 15 and 20 years before they start to show wear. While some models can last 30 years, they become less efficient over time. This is particularly true in high-use situations like businesses that are located in hot or humid climates. If your HVAC system was around to see the new millennium, then it could be time to replace it. Systems made in the ’90s have different efficiency standards than the models created today. By upgrading your system to a more efficient model, you can save energy and the environment. An HVAC technician can evaluate your model to determine how much of your energy bill is due to an outdated system and what models you can use to lower your costs. One of the main problems business owners have is finding an HVAC unit that matches the size of their business. If the unit is too large, then your energy bills will skyrocket because it requires more energy to power. However, if your unit is too small, you could end up running it longer or struggle to push cool air throughout the entire business. Your local HVAC specialist can recommend the right size unit for your business so you can find the sweet spot between too big and too small. If you suspect your unit is too small, check to see if some rooms get cooler than others. You might need a large model or a ductless air system to cool that room. An ounce of prevention is worth a pound of cure. Scheduling regular maintenance checks can help you spot problems ahead of time and reduce the likelihood of your system breaking. These improvements can also improve efficiency by removing blockages and cleaning out clogged hoses. Instead of waiting years for your HVAC system to get clogged and shut down, you can keep it running efficiently with regular cleanings. You should also make sure your air ducts are cleaned regularly to improve air flow. This will make it easier for the cool air to travel through your office and improve the indoor air quality in the building. If you have employees who suffer from allergies or are sensitive to dust, this will be a welcome improvement to their work environment. Don’t wait for your HVAC system to break to make changes to it. By improving its efficiency and performance on a regular basis, you can keep your office at a comfortable temperature all year round and save money at the same time. Is your HVAC unit in need of repair? If you’re looking for a company to fix it for you, it’s important to remember that, unfortunately, not all of them are reputable. These companies can do more harm than good, so you should hire the right one for the job. Dishonest companies will try to push unnecessary services like monthly maintenance plans that don’t cover anything or come up with mysterious charges once the job is done. Sometimes they’re not even real businesses, and if they happen to be uninsured, any damages to your equipment won’t be covered. 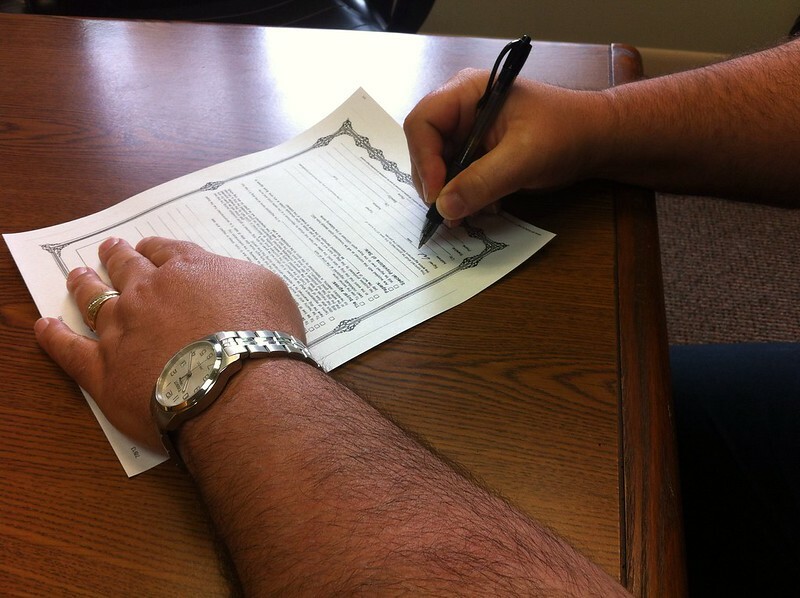 Learn about the six mistakes to avoid when hiring an HVAC company. It’s not uncommon for dishonest businesses to add unexpected charges to your bill, take longer than usual, or use more expensive components than previously agreed. Instead of entering into a verbal agreement, have a written contract with the company discussing the length of the project and any materials that will be used. Even in this day and age, there are fraudulent companies that slip through fiscalization and work with no licenses. They pretend to be real businesses and perform services that they don’t have permission to do. Check your local organization to make sure the company is licensed. If a friend of yours had a horrible experience with a company, you’d think twice before hiring them, right? You should check all the reviews before contacting a business to repair your cooling and heating equipment. If there are too many bad reviews, it’s a sign you should avoid the company. 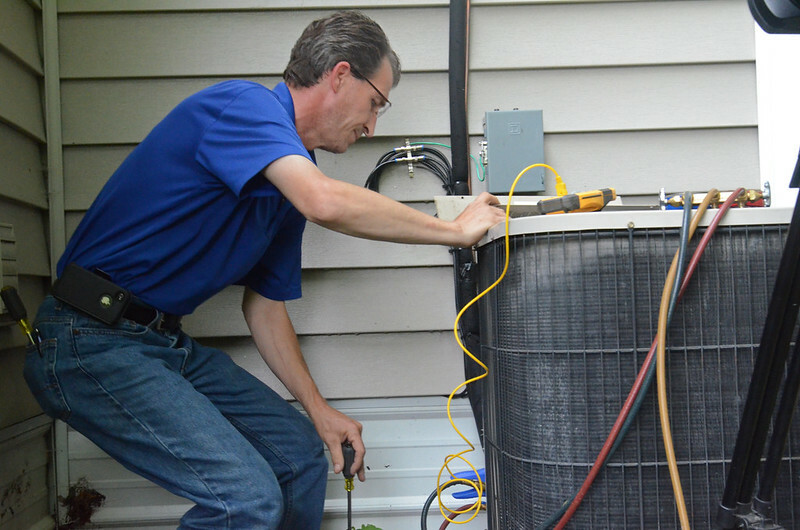 You don’t need a monthly maintenance plan for your HVAC unit. Reputable companies will check your equipment once a year or when a serious issue takes place. They want to ensure your unit is working efficiently (therefore reducing your energy bill) and most of the time will offer a one-year warranty to guarantee you’re satisfied. Imagine hiring a company for a regular check up, and they end up breaking your HVAC equipment? If the company is uninsured, you’re unlikely to receive any compensation unless you take them to court. If you’d like to avoid a massive headache, insist on checking whether they carry any insurance. Unless you live in a small town, there are likely to be a few companies offering HVAC maintenance services. You should research other businesses and check their prices before hiring any services. You can save a lot of money by avoiding a company which would otherwise overcharge you. At the end of the day, heating and cooling equipment is expensive and needs to be properly cared for. In the same way you wouldn’t lend your car to an inexperienced driver, it’s essential to leave your HVAC unit in professional hands. Just remember to check the companies thoroughly, so you don’t end up hiring a bogus business.